Starting a Play School in India is a very intelligent business decision in today’s scenario. All over the country people are becoming more and more aware of the need and advantages of elementary education. Also with Indian parents now being better-off, working and more aware of the world they want the best for their kids. 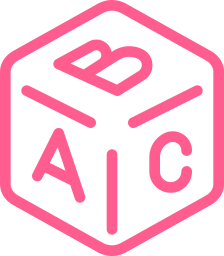 So if you love being around with kids a Play School is the perfect and most profitable way to start your entrepreneurial journey. 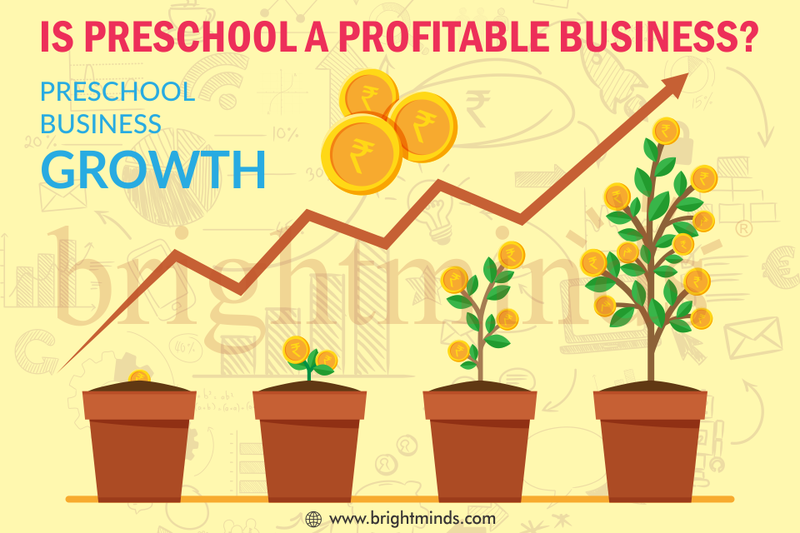 Here it can also be noted that as per many studies and surveys, the most happening business industry in India is perhaps Education. 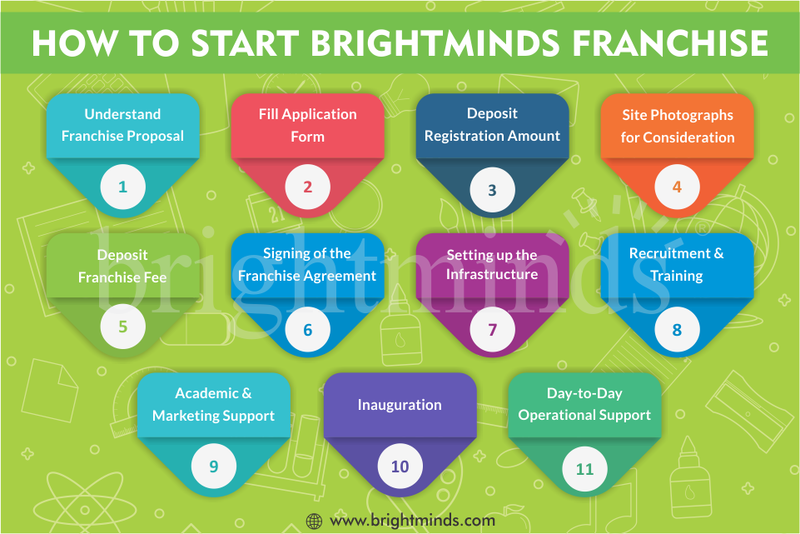 There are many well- known Play School brands and names like Bright Minds who offer franchise all across the country. 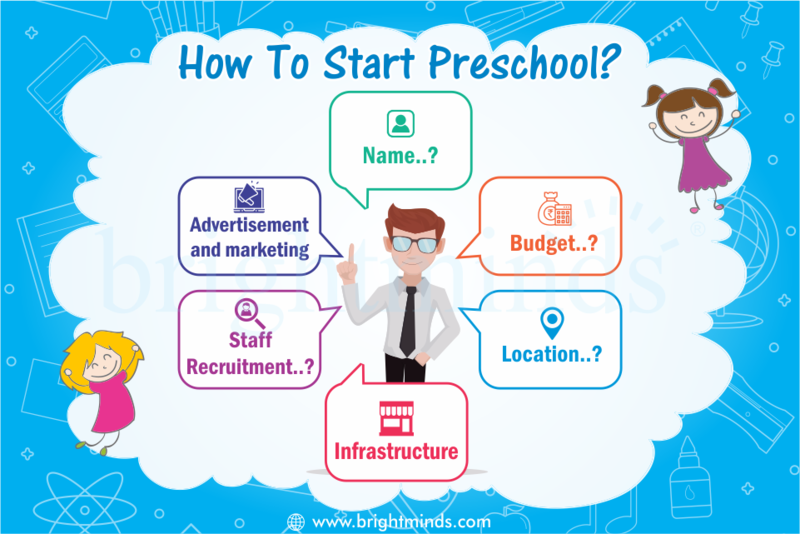 Let’s have a look at the basic steps involved in starting a play school franchise in India. Name holds a lot of significance. 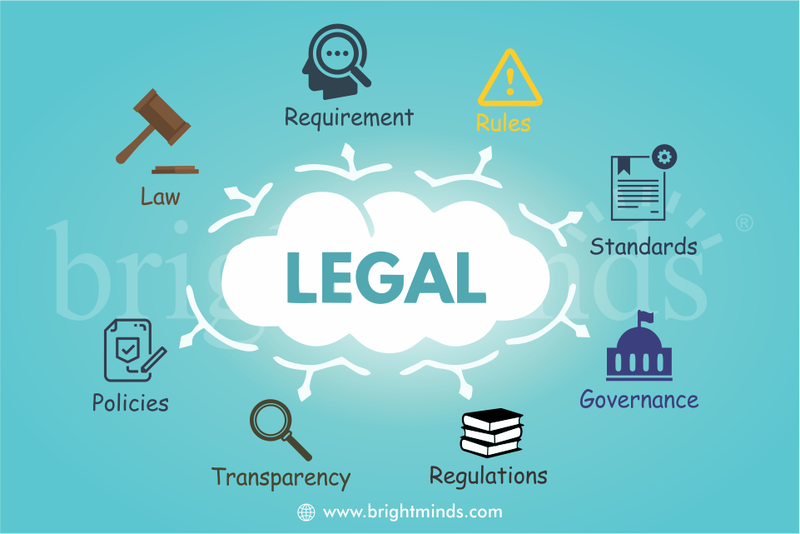 Do not copy other’s name, as it is illegal as well as unethical. Start your thought with this line – “Why am I starting a play school and what do I intend to achieve by this..? You can also take Play School Franchise which will give you its name for the play school as well as the brand Image of it to you. This will be key to take a jump start. The brand value of the product sells itself. So taking a franchise will be a huge benefit. The budget holds all the power to push your project. You need to define your budget. If you decide to start a play school or preschool the most important thing to consider is the budget. 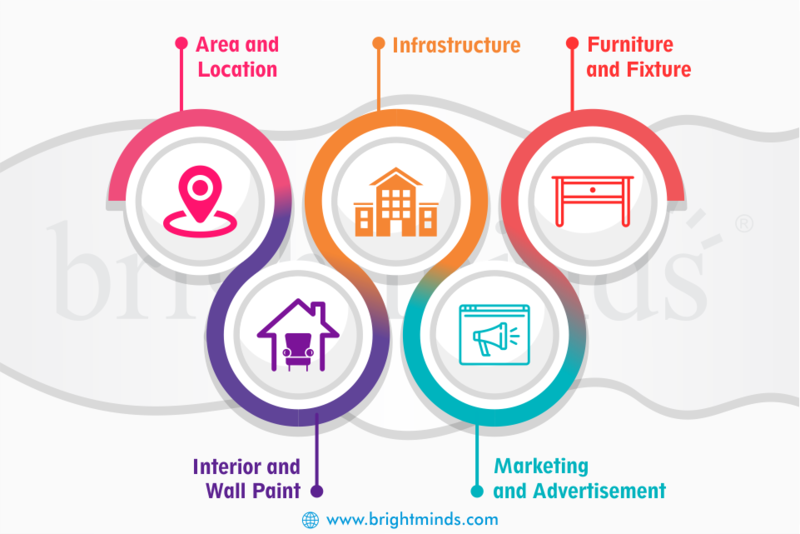 You need to plan well for all expenses that includes the lease or rent for building (in case the premises are not your own), furniture cost, staff salaries, stationary and toys for the play school, marketing, maintenance etc. To make your play school a favourite among kids and parents it’s always wise to choose an area that is safe and quite. It’s never a good idea to have a play school on a main road or congested road rather a residential layout with enough space is ideal. A play school needs to be spacious, open and hygienic. Its needs to have enough space to accommodate class rooms, activity room, play area, staff room, toilets and if possible an open playground. To attract kids and parents a play school needs to have the right infrastructure. For this you can consider having colourful walls with kiddy murals, colourful children’s furniture in the classes and lots of interactive play items. It is very important to take care of the safety aspect of the kids also. While doing the interiors you must take care of the fact that the whole area of your play school is safe for small children. If you have taken the franchise you don’t have to worry about these things. All of these things will be taken care by the franchise. They will provide you the excellent infrastructure, furniture and fixture with the theme. Franchises do have excellent quality and colourful furniture for kids So that Kid will be attracted to sit in that environment and love to come again and again. This will be a huge arrow in your arsenal. You should have proper curriculum, as the adage does ‘quality sell itself’. It takes in-depth knowledge of the subject and creative skills to design a good curriculum. Regular assessment of the curriculum is also required. The government of India is also coming up with curricular laws, making it mandatory for preschools to have proper and good curriculum. 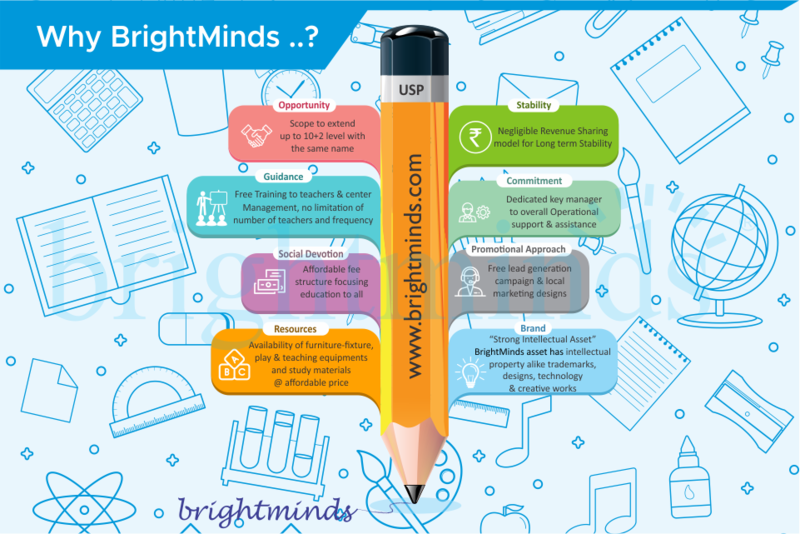 Franchisor provides you the best available Curriculum present according to current scenario. 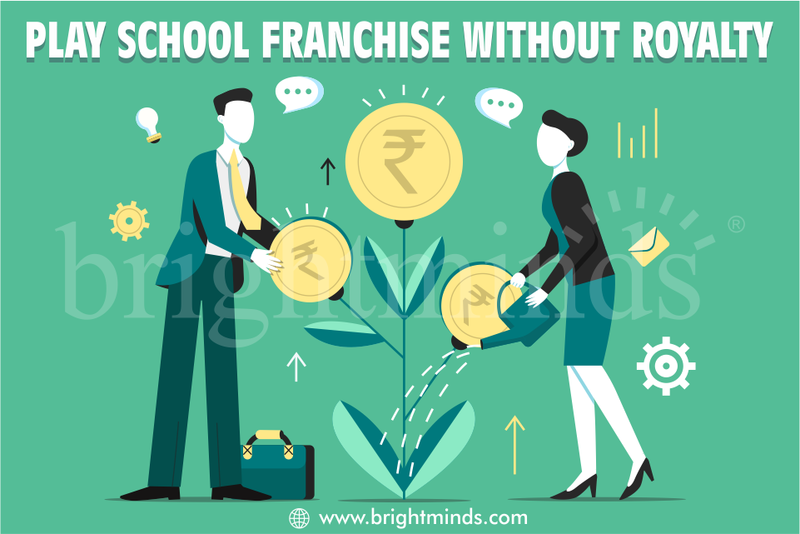 It takes time, hard work and complete knowledge of the subject as well as latest pedagogical practices, assessment patterns and learning styles to design an excellent curriculum which are already prepared by the franchisor itself. It’s important to have trained teachers and staff in the preschool as not everyone is equipped with the skills to take care of small kids. Most of the branded play schools which offer franchise train the staff and the teachers which will help you maintain the quality education. The training provided by the franchisor will be very beneficial for the teachers to improve their skill with pedagogical practices, assessment patterns and teaching style. Advertisement and marketing are the most essential part of the Process. If you won’t market your play school it’s not worth at all. You can give ad in local newspaper, you can distribute pamphlets, you can place hoarding on various places and many other ways to market your play school. 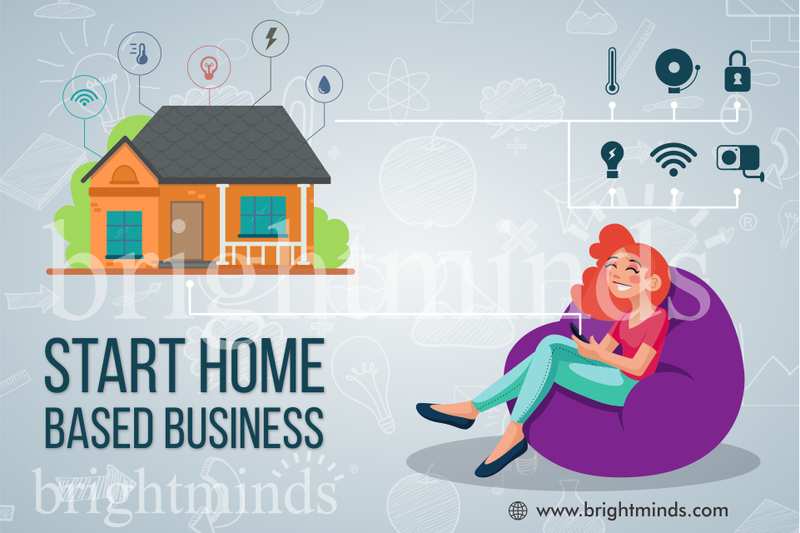 This is the era of internet, and it is important to market your play school on Social media and internet, otherwise you will be left behind in the race. If you have taken the brand name, half of the work is done as you already took a brand name. A brand name does half of the work by itself. The digital & social media and even some times local newspaper is also covered by the franchisor. You just need to work hard and stay motivated to get recognized in the market. 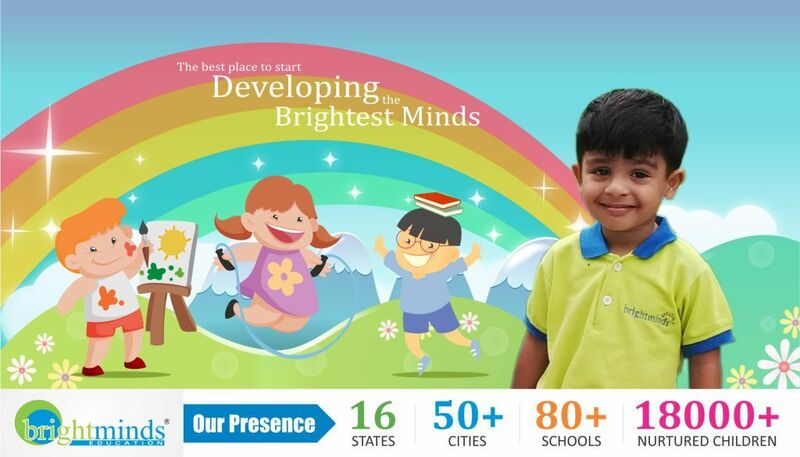 Here it is the final stage, where you will see your dream play school in front of your eyes. Prepare the launch of the play school with full flash. Do as much as marketing possible. Try to gain a jump start in the industry. Do different activities to get attraction on the launch and try to invite locally renonned person as chief guest for the inauguration. This will also built your play school image from the very beginning. 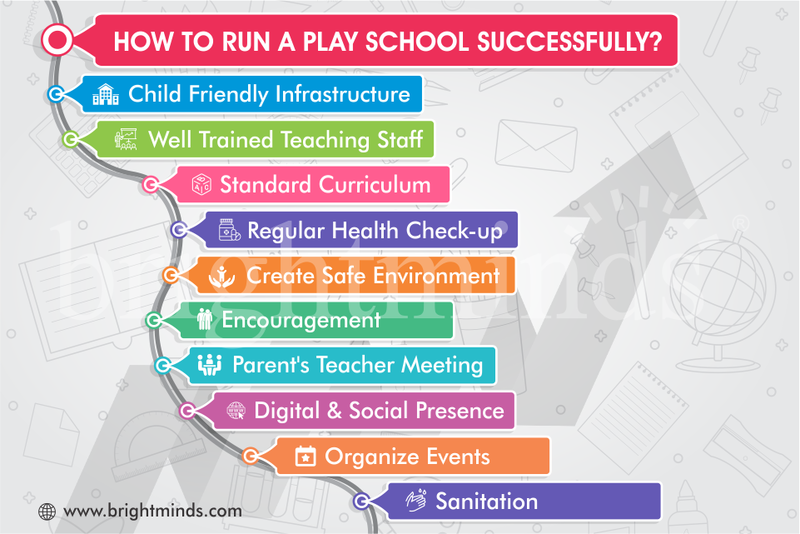 Brightminds, providing the playschool or Preschool franchise in low investment with best infra setup such as thematic furniture, theme based classrooms & latest toys and equipment with unmatched operational support.